As you have already read in several of my previous posts, I consider working with the military to be one of Neuromonics’ most important missions. So many veterans of Iraq and Afghanistan are returning to the United States with many issues. 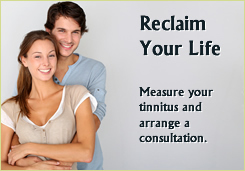 One of those is tinnitus, which is, of course a major focus for us. But we also have to remember that readjustment to civilian life can be difficult in terms of employment. 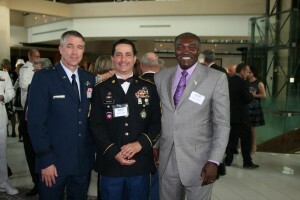 That’s why I am happy to have had the chance to recently join more than 400 other veterans and employers at the annual Employer Awards Banquet held by the Colorado Chapter of the Employer Support of the Guard and Reserve. This group supports members of the National Guard and Reserves by working together toward mutually beneficial goals and supporting the guardsmen during deployment. I am impressed by the number of companies across the country that are part of this organization and support its goals. If you have the opportunity to hire a vet or guardsmen, please do so. It will be the best investment you make.